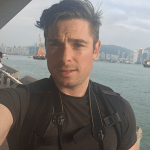 I’m Ryan, a Canadian part-time independent traveller who’s on a mission to help busy people like you maximize their vacations and learn to travel more with less. I know what you’re thinking. Another travel blog? Why on earth would anyone need that? I wholeheartedly agree. We probably don’t. Travel blogs are a dime-a-dozen these days. I mean, when was the last time you logged onto Facebook or Instagram without seeing over-filtered and over-processed photos of perfect vacation spots? A long time ago, I’d assume. Fortunately, I’m not your typical travel blogger. I’m just a regular dude who loves to travel and who’s learned to fit it into my life. Not the other way around. Oh, and I write about it. But what you’ll find here is different than most travel blogs. Treksplorer is less about following my own journeys as they happen than it is about helping you maximize your next one. You won’t find a barrage of beachside selfies or a play-by-play of my latest exploits here. Nor will I inundate you with never-ending chronicles of sponsored press trips. Instead, I’ve decided to shun the usual travel blogger path and craft and curate only unbiased and practical travel & lifestyle information to help you plan your next trip. No sponsors. No gimmicks. No bulls**t. Just good ol’-fashioned advice. Why? In over ten years of randomly hopping around, I’ve come to realize that travel isn’t an all-in proposition. Contrary to what the travel blogging world lead you to believe, you don’t need to quit your job, sell all your possessions, and live out of a 40L backpack to see the world. In fact, my message here is quite the opposite: You absolutely can travel and experience the world without sending your life into an upheaval. Maybe that will involve becoming an expert in travel hacking, adopting minimalist travel principles or starting a side hustle that fits your lifestyle. In any case, I hope that what you’ll find at Treksplorer inspires you to move forward living life as your most authentic self. If there is anything I can do to improve your experience or if you have any questions, comments or requests, please do not hesitate to contact me.